These interesting photos were done on January 28, 2000. The top photo is like if Currier & Ives did a lithogragh of the Burrell Home. The first Burrell home was located near where my tripod was standing. The Middle Photo shows a historical plaque on the house. 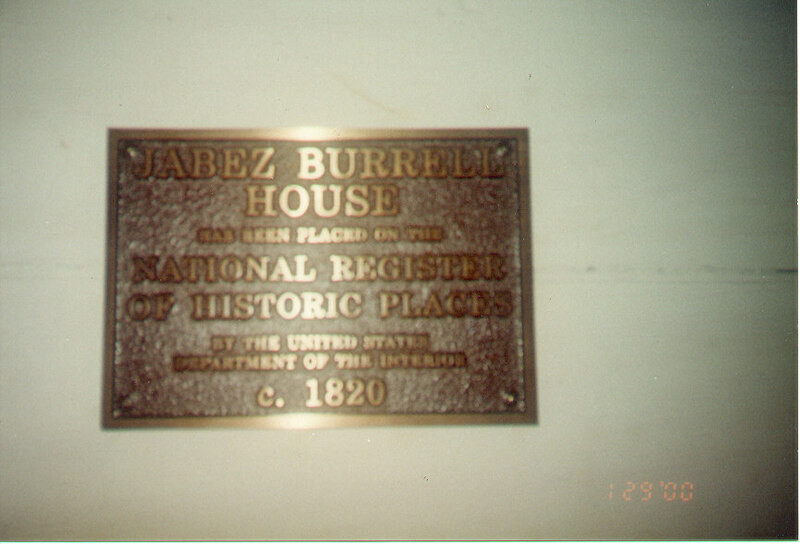 It reads " Jabez Burrell House, has been placed on the National Register of Historic Places by the United States Department of the Interior, C. 1820". The lower photo shows the house when you come up the drive. . If my car was not parked by the side, it would be like a winter day in 1890. And riding in a wagon calling on the Burrell's on a winter Sunday after Church. Plus in the lower left corner of the photo there are deer tracks. At night they roam the yard, and cross East River Road. In September of 2000, the Friends of Freedom Soc.- Ohio Underground Railroad Assoc. sent a marker flag to the Burrell Homestead, honoring the Burrell's involvment in the Underground Railroad. In November of 2000, a Ohio Bicentennial Historical Marker was requsted to honor the Burrell's part in the Underground Railroad, and the Sheffield Manual Labor Institude. 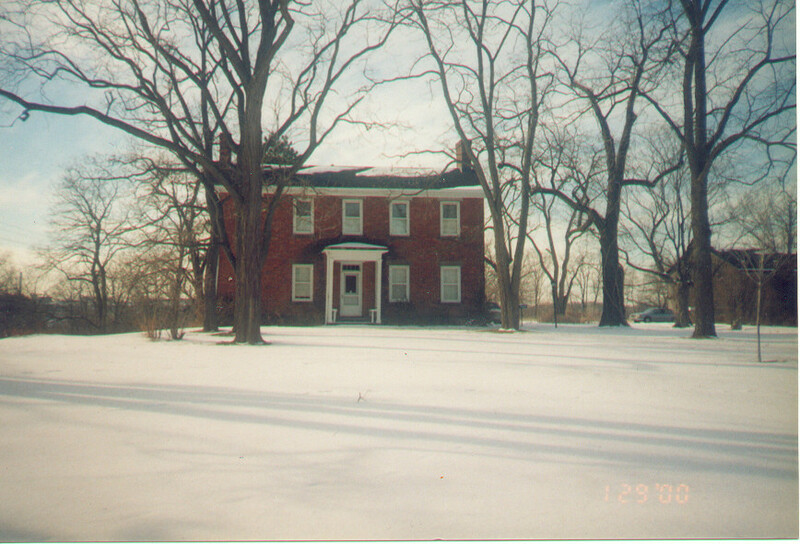 The Burrell Homestead was the last station in Lorain County. Oh. On January 21, 2001, Eleanor Burrell, the last of the pioneer Burrell Family passed away. More interesting photos of the Burrell Homestead. : Photos of the parlor, and sitting room of the Burrell Homestead. 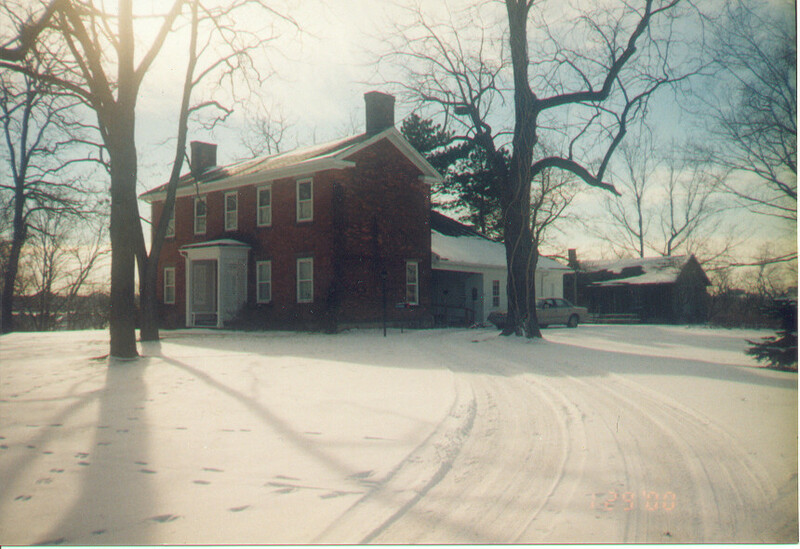 Plus a winter view of the farm. These photos are in memory of Eleanor B. Burrell, December 26, 1905 - January 21, 2001.